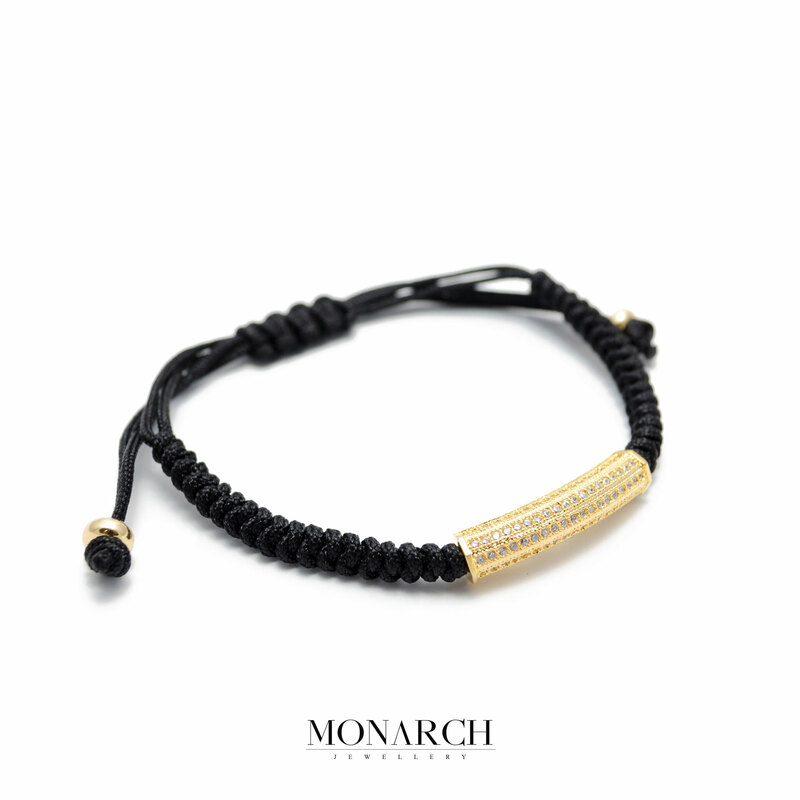 The Gold Micro Tube Charm Macrame Bracelet is an eye-catching bracelet. The round knot-style bracelets by Monarch combine the best materials and pure craftmanship into one great accessory which perfectly completes your style. 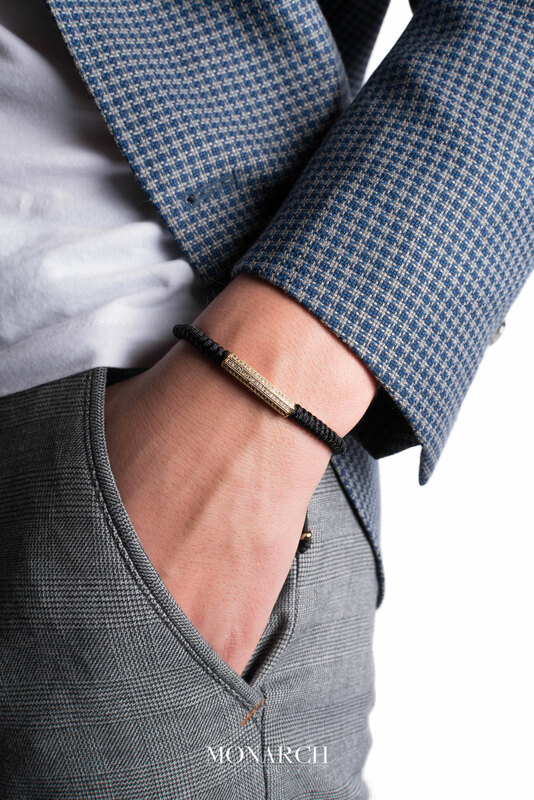 Either you want to upgrade your style or just want something that makes you standout in the crowd, the design of the Micro Tube Charm makes it perfect for every occasion. 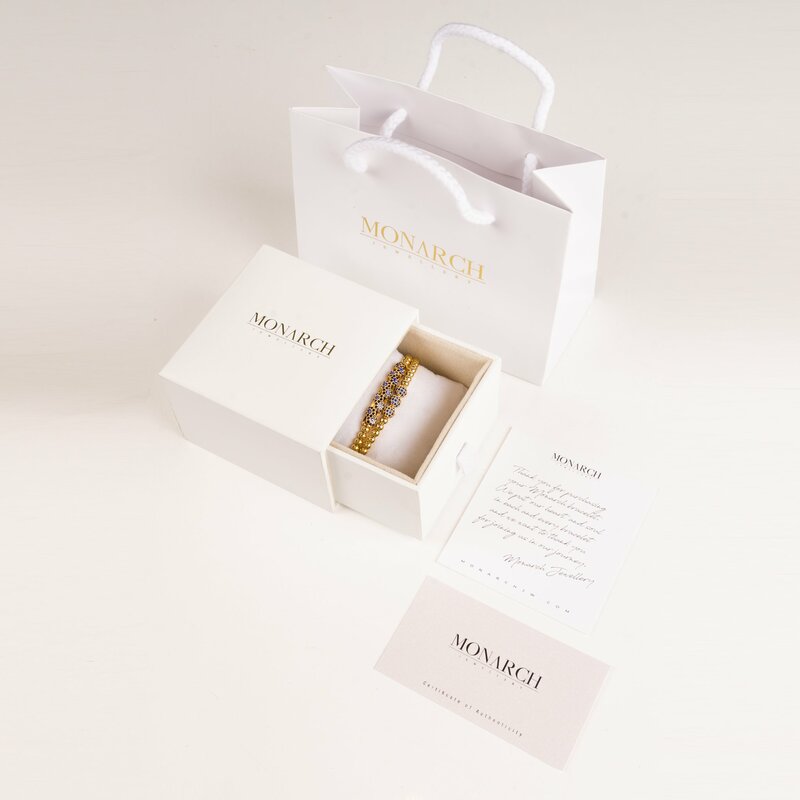 Personalize your style and wear with another Monarch bracelet.